How goes it? I'm doing alright still in pain but right now it's bearable. Hopefully it goes away soon. Today I will be sharing a polish by O.P.I. called In The Cable Car-Pool Lane. I actually used this as a base for some simple yet cute nail art which you can see here. I'm just going to start off by saying that I L.O.V.E this color. Okay, here we go! 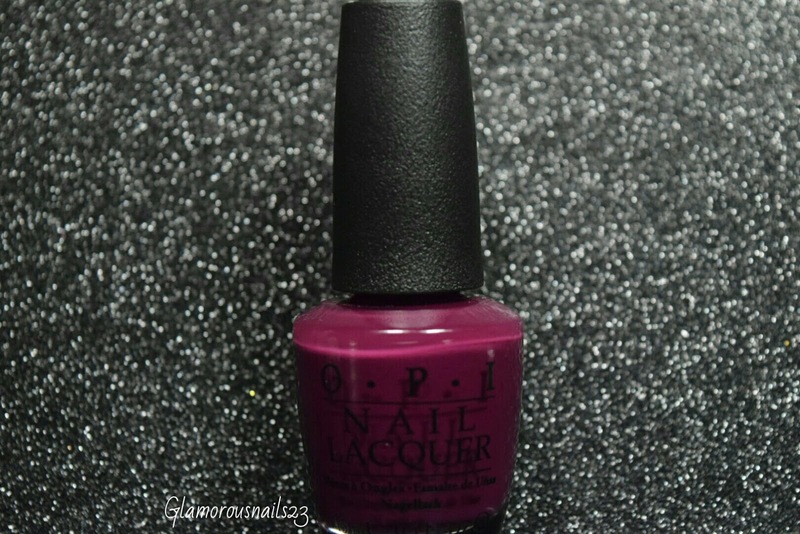 In The Cable Car-Pool Lane is a rich plum juicy creme polish. This is actually one of the polishes from the Fall 2013 San Fransisco Collection. The formula was very good and it spread nicely as if I were spreading butter on toast:). I didn't have any problems with the application and In The Cable Car-Pool Lane did dry fast. Seeing as fall is slowly approaching I figured that this color would be a nice one to wear. I'm absolutely head over heels for this color! It's just beautiful!. Shown is three thin coats with a top coat. Do you own any polishes from the Fall 2013 San Fransisco Collection? Do you own In The Cable Car-Pool Lane? Well as you may or may not know purple (any shade) is my favorite color! So this one definitely is a win in my books! What do you think of this polish? 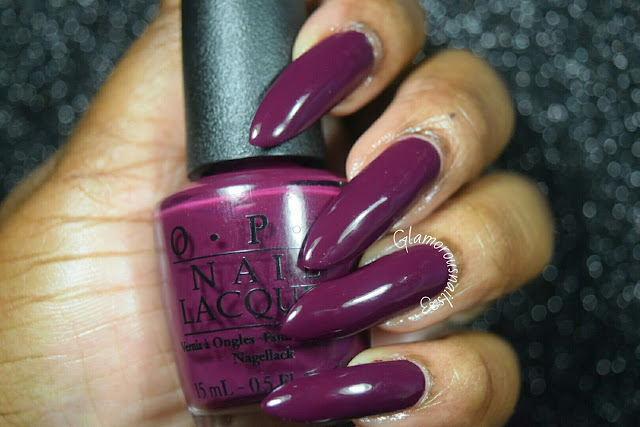 Let's talk OPI in the comments below! I don't own this one but it is gorgeous!!! Now I want it lol. I love the OPI San Francisco collection!! It's filled with such beauties. My fave from that collection is Lost on Lombard. Do you have that one? LOVE it!!! Thanks for sharing!